Big technology companies around the world have abandoned earlier strategies of enforcing patents that relate to Linux, the top FOSS operating system of the public cloud, for a new model of collaboration and sharing that embraces both the practicalities and the principles of FOSS. 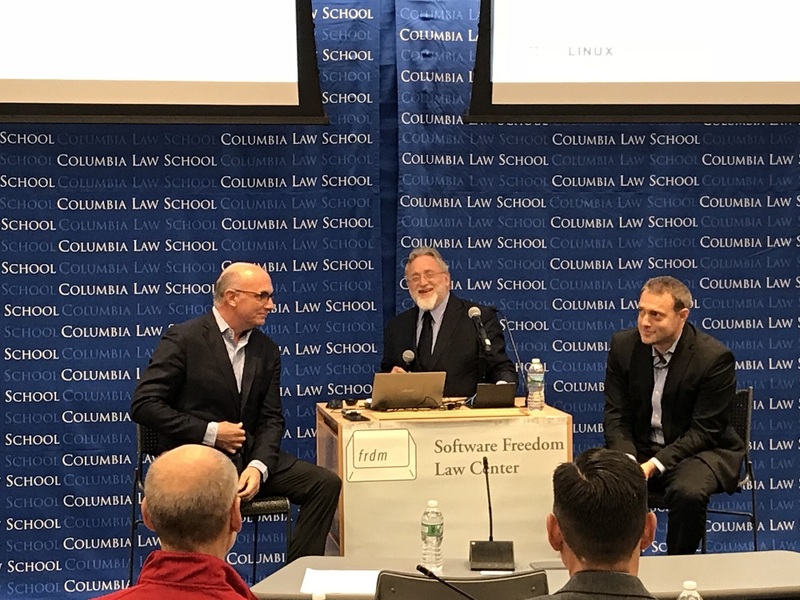 The Software Freedom Law Center (SFLC) held its 14th annual conference on 2 November at Columbia Law School in New York. The conference brought together practitioners, lawyers and academics from the FOSS community to discuss new developments and to debate the fine points of open source. In addition to the usual suspects, the conference also brought a long-time FOSS antagonist into the room, Microsoft, which recently embraced the open source model by joining the Open Innovation Network (OIN) and releasing its Linux-related patents to the world (IPW, Patents, 12 October). “This is history,” Eben Moglen, professor of law at Columbia University, and president and executive director of Software Freedom Law Center, said at the conference. “We now have global consensus in favour of a certain way of making things, by collaborating and sharing. There’s nobody left who represents a formal antagonist to that way of making software. This is what it means to be welcoming Microsoft into our home,” he said. “Peace has broken out,” said Moglen. The conference featured sessions on how “peace” is being advanced through software collaboration and new forms of licensing, how car manufacturers are developing an open source software ecology in the automotive industry, and how FOSS has become indispensable to developing new blockchain and artificial intelligence (AI) technology. More information about the conference agenda can be found here, and a video recording of the conference is expected to be posted late on 9 November here. The Open Innovation Network (OIN) defines itself as “the largest patent non-aggression community in history and supports freedom of action in Linux as a key element of open source software. Funded by Google, IBM, NEC, Philips, Red Hat, Sony, SUSE, and Toyota, OIN has more than 2,650 community members and owns more than 1,300 global patents and applications. The OIN patent license and member cross-licenses are available royalty-free to any party that joins the OIN community,” according to the OIN website. Microsoft’s 10 October announcement to join OIN represented the culmination of an intentional three-year dialogue between Microsoft and OIN, Keith Bergelt, CEO of OIN, explained at the conference. “No company has made a longer journey [than Microsoft], from being the most successful proprietary software company in the world, to now being a company that is arm in arm, hand in hand with other companies to be able to create products, to deliver services to their customers, and to be able to tap into the creative vein that is open source,” Bergelt said. Microsoft is now “part of the community,” and “it’s certainly a journey,” Nicolas Schifano, senior director and assistant general counsel of Cloud IP Policy & Strategy at Microsoft, said at the conference. “Becoming part of the community has started many years ago,” Schifano said. Joining OIN was just one milestone in this journey, he explained, with a number of other milestones preceding it, including Microsoft’s work on Azure cloud computing services and its increasing reliance on Linux in recent years. Microsoft’s new emphasis on the cloud can be considered a key driver in what Bergelt described as its “inevitable” evolution toward open source. “Joining OIN is, in a sense, just the logical consequence of all these steps, and of this increasing participation and reliance on the community. I think we are here now, we have climbed this mountain, we are at the top, so to speak,” he said. Peace not Patent War: Why the Change? Intellectual Property Watch spoke with SFLC’s Moglen after the conference, to clarify the process through which “peace” was won between big tech companies and the FOSS community. He explained that this shift to providing cloud-based services significantly reduces the utility of patent enforcement strategies to the point of being counterproductive, because the cloud is built on Linux-based free software, along with the data servers that compose it. "“Peace Has Broken Out” In Software Development, Heralding Open Source As The Future" by Intellectual Property Watch is licensed under a Creative Commons Attribution-NonCommercial-ShareAlike 4.0 International License.